Unbeknownst to many, there have been a lot of new trends and alternatives regarding teaching methods that steer a little away from traditional and outdated ones, and instead incorporate activities and experiences students are passionate about as a means to engage them to actively and willingly take part in their learning process. 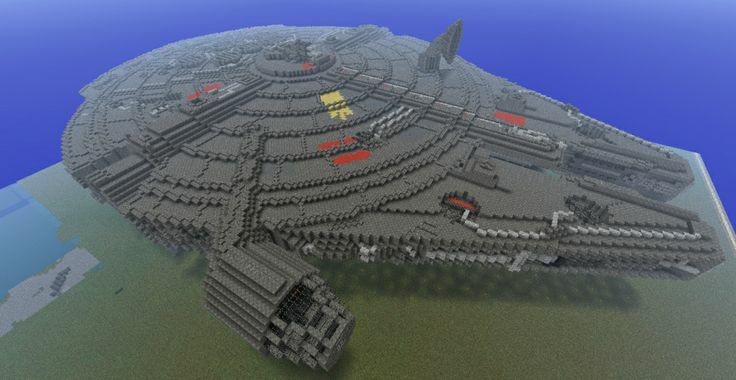 It is widely known the mass effect the Minecraft game has had within the younger community, earning the staggering amount of hundreds of millions of users since its launching in 2009. With its sandbox nature, which allows almost complete freedom and reign over all of the elements in the game, Minecraft has managed the outstanding task of capturing the imaginations of countless of kids (and many adults as well) around the world. In a nutshell, Minecraft is a 3D procedurally generated game that allows players to mine cubic blocks of different materials (dirt, stone, water, lava, ore, etc), and later build a construction of their choosing. Although the game doesn’t focus on a specific goal to accomplish, there is an achievement system where players must carry out certain tasks or activities in order to survive or get some type of reward. 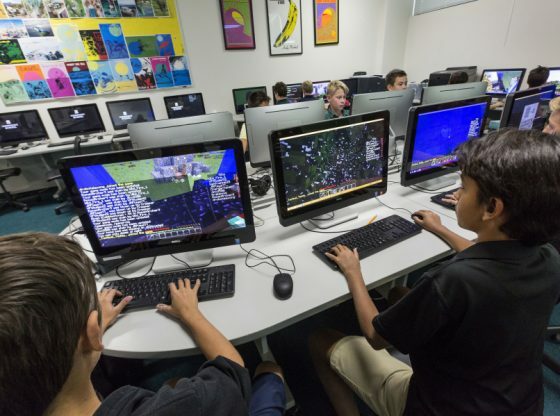 It is precisely this free reign in terms of creativity and problem-solving, what brought many educators, and even the developers of Minecraft themselves to figure out a way to integrate the game into their school classes, making them more engaging, and thus promoting a passion for learning. 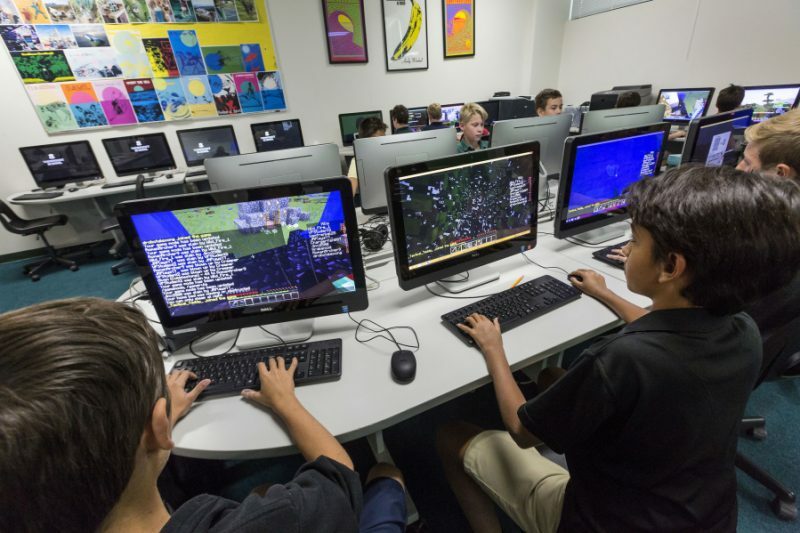 That’s why in 2006 Microsoft launched a special version called Minecraft Education Edition, a classroom-friendly adaptation that aims to get kids hooked on science, history, math, and other subjects through lessons and activities that revolve around Minecraft’s gameplay. This version offers a wide array of lesson plans for teachers to include in their classes, a collection of themed worlds, to make classes more interactive and fun, and allows for students to download the game without having to pay. Given the endless array of elements present in the game, there are bound to be some of them that are unknown to kids, especially if they belong to a very specific setting, such as historical artifacts, space items, gemstones, sorcery paraphernalia, to name a few. To be knowledgeable of these elements, a lot of research is in store. This is a particularly clever way to make kids appreciate the utility of research, so they can later internalize that it is essentially research what’s driven society to what it is now, trough the eternal quest for knowledge. Being a 3D pixelated game that relies entirely on cubes, it seems very fitting to incorporate a little bit of geometry notions, as well as fractions and proportions, to the world of Minecraft. Minecraft Education Edition includes many math lesson plans that focus on geometry and fractions related activities, so kids can visualize first-hand basic notions such as areas and perimeters, how much is a half, a quarter, and so on. Basically Minecraft is limited to the user’s imagination. No matter how big or how crazy of an idea you may conjure, it’s almost always possible with Minecraft. From fictional and historical settings and building, natural landmarks, outer space environments, villages, big cities; all of them have been thought of, and built, mostly by kids that haven’t even finished high school! It’s amazing how much a kid can be encouraged to become interested in historical topics if you do it through a virtual tour of a fully reconstructed Minecraft version of famous buildings or landmarks. 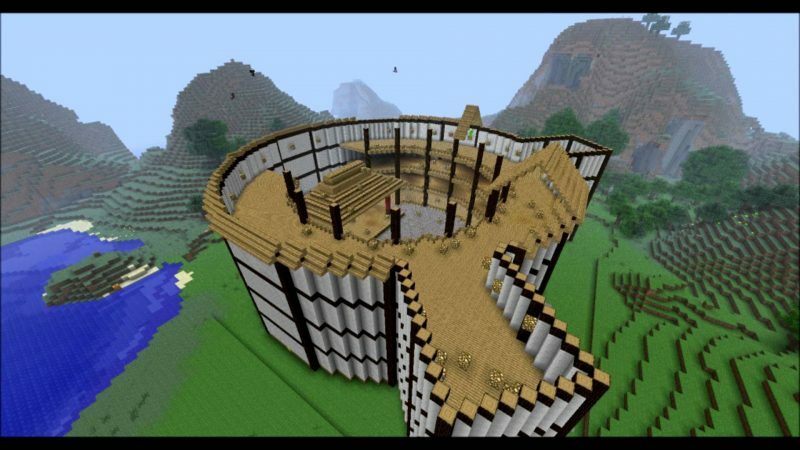 Minecraft Education Version contains many three-dimensional replicas of the most famous historical structures, like the Coliseum, the Great Pyramids, and the Globe Theater. Minecraft Education version also highly promotes the customization of the game itself, through modding, or tweaking the original code. Designing these mods require learning Java, the programming language used to develop Minecraft. For this reason Microsoft has partnered with well.known learn-to-code platforms such as Microsoft MakeCode, Tynker, ScratchX, among others. Inadvertently, because it’s a shared interest, kids tend to bond over the game, forming real-life and virtual alliances around the game. Team work is also a big part of the game, when it involves achieving goals. And remember, when working with Minecraft the possibilities are endless. The only requirements are the right amount of creativeness and imagination to successfully implement any kind of knowledge into this fantastic world.